One of the most important tenets of design for the Kenyan architect is that their building design needs to offer the best design solutions available at a given time. All this must be offered within a particular context, and the project must demonstrate an aptitude of elegance and aptness. Usability – the spaces in the project should be usable and well maintained. 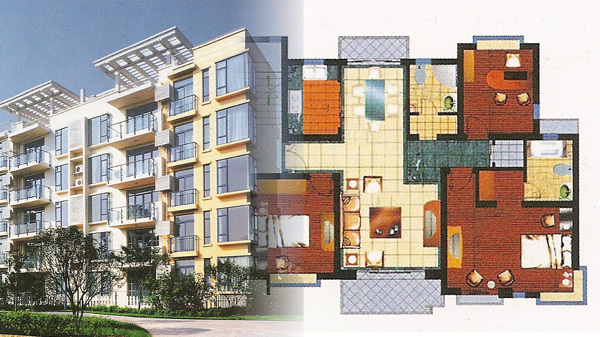 Spatial allocations for these spaces should relate well with each other. The quality of spaces should be well thought out in harmony with their use. For example the sizes of bedrooms should be given an intimate scale, while the living rooms and lounges can be designed to be much grander in scale. Security – users desire to feel secure and a sense of wellbeing within and around their residences. The Kenyan architect should achieve this at the planning level, as well as in and around the units. Planning securely can be achieved through defensible space whereby each residence has its space demarcated uniquely and concisely. Security within the units is achieved through access control and target hardening measures such as alarms and burglar proofing at the very least. Extremely sensitive spaces can be further hardened by using safes or reinforced construction to create bunkers. Durability – selection of building materials by the Kenyan architect must be done as to ensure maximum elegance, while ensuring that the materials are zero to easy maintenance, and are durable. Good quality finishes that last long and are easy to maintain should be the emphasis. This also increases the maintenance cycles for the buildings, which creates savings in the long run. Projects designed by the Kenyan architect must demonstrate high User comfort. Human Comfort regards issues relating to each space’s adoptability to its use must be addressed, especially those affecting individuals’ perception of the spaces. Temperature, lighting and ventilation are the key factors here, though other issues such as views, smell and textures should also be addressed by the Kenyan architect. Lighting Provisions must cater for general lighting, decorative lighting and task lighting. It is imperative to consider green design principles here by specifying the most sufficient and most economical light fittings for each use. This ultimately creates savings on the buildings’ energy use. Daylighting, i.e. allowing controlled natural sunlight into the building, is desirable to bring into the spaces. Temperature – depending on the location of each project, it may be necessary to control the internal temperatures to keep them at a good comfort level. This can be achieved through artificially heating and cooling the building, but it is preferable to achieve this comfort level through passive natural means. Thermal comfort is achievable by allowing natural flow of air through spaces, while reducing internal heat gains from direct sunlight. Flexibility of Use – Due to the multiplicity of uses that each space can accommodate, it may be necessary to consider designing the units in a manner that they can function differently in future should the users deem fit. Residences are often converted to suburban office spaces, and this kind of change should be contemplated in their makeup. Integration of Building Services by the Kenyan Architect is vital! Aesthetic appeal of each building is a vital aspiration of the entire design process. A well designed project should capture the imagination of all who behold it, and invoke powerful sensations relating to that particular development. This is ordinarily called the sense of place in architectural circles. This should be achieved both internally and externally around the building, through good interior design and landscaping. The form of each building should invoke memories or a sense of familiarity with the surroundings in which the project is built. It should also create mental images that its viewers can relate to. Iconic buildings must bear this characteristic. A good residential development should be evaluated using life-cycle economic and material evaluation models. Developers need to appreciate that optimizing building performance may require a higher initial investment to save on long-term operations and maintenance. This is the spirit of sustainable development. To achieve the optimum performance for the investment in the facility, value engineering provides a means for assessing the performance versus cost of each design element and building component. In the design phase building development, properly applied value engineering considers alternative design solutions to optimize the expected cost/worth ratio of projects at completion. Value engineering elicits ideas on ways of maintaining or enhancing results while reducing life cycle costs. In the construction phase, contractors can be encouraged through shared savings to draw on their special ‘know-how’ to propose changes (under strict supervision) that reduce costs while maintaining or enhancing quality, value, and functional performance. It is imperative that all building projects actively integrate these factors in their makeup for them to be attractive, functional and relevant in this age. These parameters are what make buildings iconic. For their projects to be successful therefore, the Kenyan architect must aggressively employ these principles.